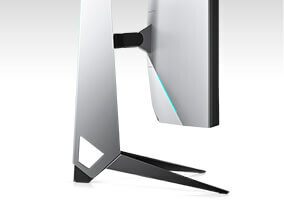 34-inch gaming monitor featuring a curved 1900R in-plane switching display with NVIDIA® G-SyncTM , wide viewing angles and incredible resolution. Lose yourself in every game. 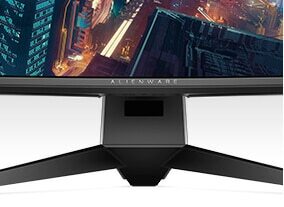 Introducing all-new Alienware monitors, mice and keyboards featuring the iconic design you trust for exhilarating, immersive gaming. 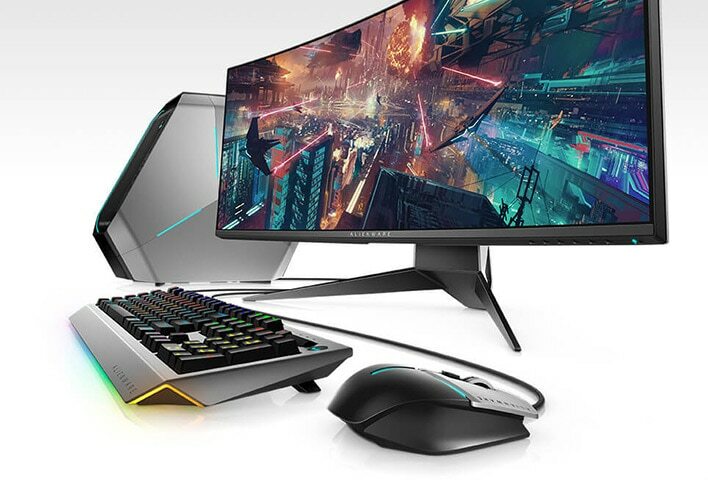 Whether you're just starting your collection, or rounding out your arsenal, Alienware accessories are built to enhance your gaming experience as you journey deeper into the game. Looks that kill: A premium, polished silver finish and ultramodern design reflect our commitment to sophisticated appearance, unparalleled quality and gargantuan gaming. We focused on the details so you can focus on the screen: Your monitor features an ultrathin 3-sided bezel for expansive screen space. Our unique step-venting details help dissipate heat and maximize performance. And we added the unearthly glow of Triad lighting to complete the monitor that’s better-looking than it has to be. 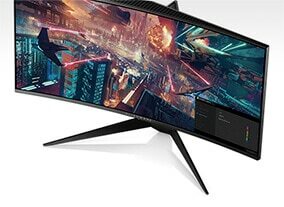 Curve your enthusiasm: Completely immerse yourself with a sweeping, curved infinity display that takes you deeper into the game and a 21:9 aspect ratio that makes every vantage point epic. 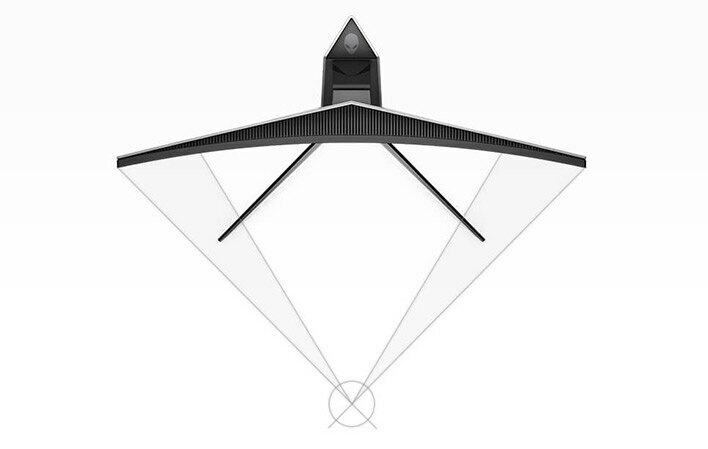 The curved screen maximizes your field of vision, reducing eye movement, so you can stay comfortably focused on the game longer. Expand your horizons: In-plane switching panels mean a wide viewing angle from any vantage point and incredibly vivid, detailed color reproduction from wherever you are in the room. 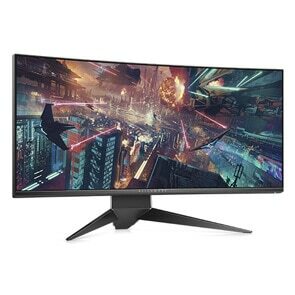 Get real: A 3440 X 1440 WQHD display delivers sharp, crystal-clear graphics with 3.68 million pixels—1.77 times more detail than a Full HD display. So you’ll see every blade of grass, every glint of steel, every drop of sweat more vividly, intensely and richly than ever before. 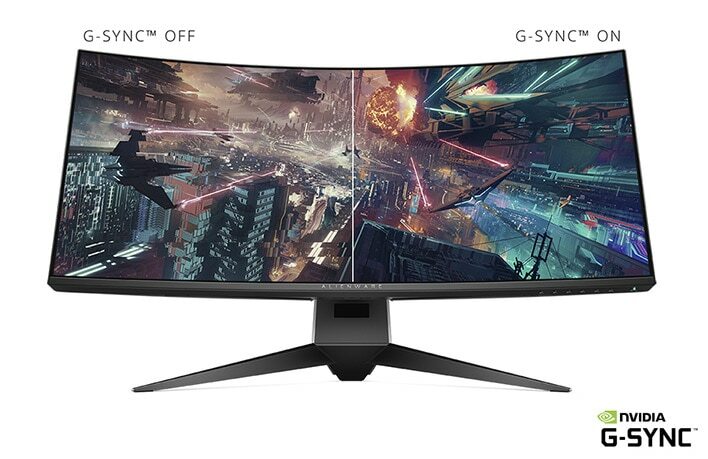 Synched up and ready to roll: NVIDIA® G-SYNCTM technology displays full frames only when the monitor is ready to display them. This means your screen frames load so fast, you can say goodbye to distortions—like tearing and artifacts—and get used to smooth, vibrant images. By the time this sentence is over: Refresh rates so fast you won’t have time to worry about lag. Bring on even faster responsiveness with 100Hz native [or up to 120Hz overclocked] refresh rates and 4ms response times to max out on the highest, fastest level gameplay that looks and feels super smooth.